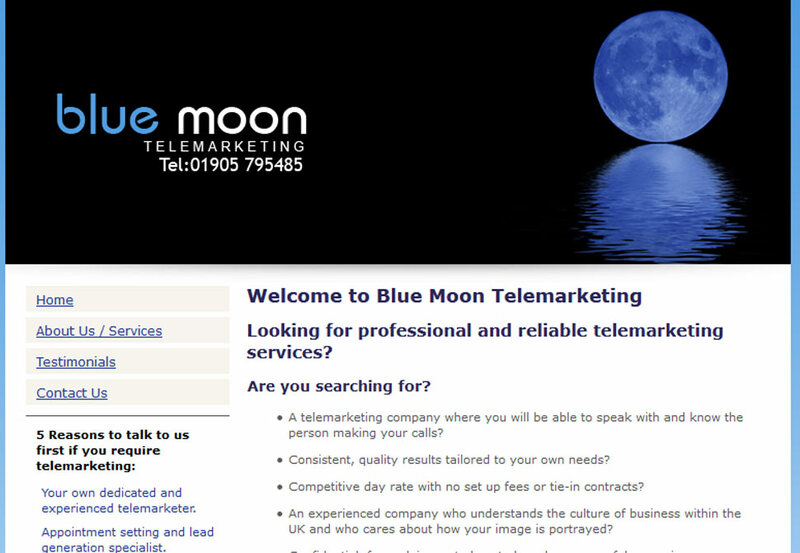 Blue Moon Telemarketing was founded in 2006 by Patricia Williams. She has over 30 years business experience working alongside Senior Management figures within the insurance, accountancy, manufacturing, aerospace and telemarketing industries. Blue Moon Telemarketing provides reliable solutions for businesses across the UK. Clientele range from professional business coaches, stress management consultants, accountants, solicitors, insurance brokers, graphic and web designers, architects, advertising agencies, printers, trade organisations and many more.